Yashoda cries seeing Kanha/Krishna’s condition and says why troubles always grip her Kanha. Kirtida asks her to calm down as Vrindavan people are completely cured and soon Kanha will also be cured. Radha gets jealous seeing Chandravali holding Krishna’s hand sitting beside him and thinks Krishna gave her place to Chandravali. Balram thinks her jealousy is posing a problem for her and Kanha, she should get rid off it. Vaidyas reach and applying medicine on Krishna’s blisters say Krishna will get well soon. Jatila thinks he will get well only in Mathura and Kans’ vaidyas are already waiting. Vishakha signals Radha and takes her along. Radha asks where is she taking her. Vishhakha says Krishna gave her rights to Chandravali and got her out of his life, so she should show him that she does not care for him and can be happy without him. Radha falls in her trap. Krishna’s condition continues worsening. Vaidya says they gave same medicine to other Vrindavan vasis and it is not working on Krishna. Jatila says Krishna’s treatment is only in Mathura as there are best vaidya there. Ayan says even he got cured there. Nand asks to make arrangements to head to Mathura. Balram says they need not go anywhere and they will treat Kanha here itself as there is no guarantee Mathura vaidya’s can treat Kanha. He eagerly waits for Radha to return soon. Jatila convinces Nand again. Ayan via black magic informs Kans that Krishna will be brought to Mathura soon. Kans excitedly says let him come here, he will be killed easily. Radha thinks she cannot leave Kanha alone in his worst situation and walks back. Chandravali rushes to her and asks where was she, Kanha’s condition has worsened. Radha gets more worried. Vishakha stops her and says Krishna is very cruel and she should not go. Radha warns that she crossed her limits now, though Krishna does not love her, she loves Krishna forever and cannot leave him in his worst situation. She returns to Krishna and pleads him to wake up, if he wants her to drop her jealousy as he thinks she will, etc… Krishna does not wake up. She walks out crying. Balram asks where was she, Krishna needs her most as only she can cure Krishna and if Krishna is taken to Mathura he may not return again. Radha says she can sacrifice even her life for Krishna and will do her best to cure him. Krishna gives moral gyaan that human works hard day and night for bread and if he/she can get food easily, he will never work hard; bread not only calms one’s hunger, but also teaches them a lot, if it is not cooked on both side, it can make one ill and if it is cooked well, it can make one healthy..
Precap: Krishna is taken towards Mathura. Radha runs behind thinking whatever it happens, she will reach Krishna. Kans eagerly waits for Krishna. 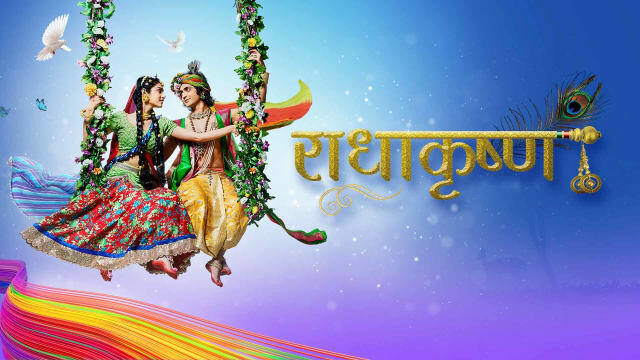 The post RadhaKrishn 1st March 2019 Written Episode Update: Ayan’s Vicious Trap appeared first on Telly Updates.